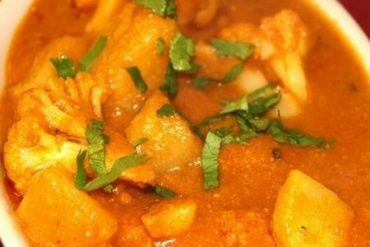 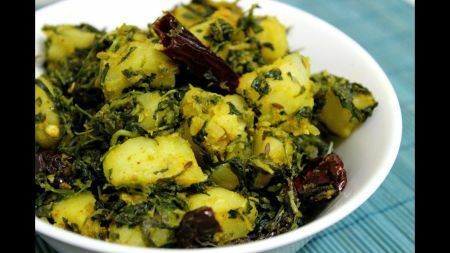 Potatoes cooked with fenugreek, spices and Indian herbs. 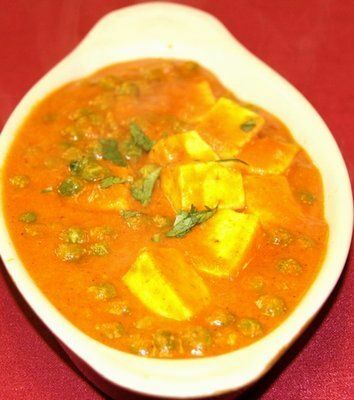 Homemade cottage cheese cooked with onion and tomato sauce with peas. 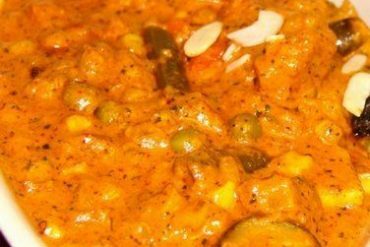 Assorted fresh vegetables and cheese cooked in a cream sauce.